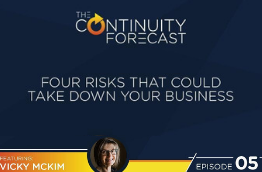 There are few things that scare seasoned business continuity professionals. After all, it is your job to protect your business or the businesses you manage from a variety of threats. We’re willing to bet that swelling storm surge, 100+ mph winds, and widespread power outages are some of those things. Hurricanes are, simply put, scary. June 1 is right around the corner, and while that reminds most of us of summer, it’s also the start of hurricane season. It’s been months, but the 2017 season still looms over operational planning, as many areas impacted by major hurricanes Harvey, Irma, and Maria are still suffering the consequences. According to our Meteorological Operations Team, this year we’re expecting an average hurricane season, which means your business needs to be prepared to mitigate hurricane risks. The best way to do so? Have a plan. 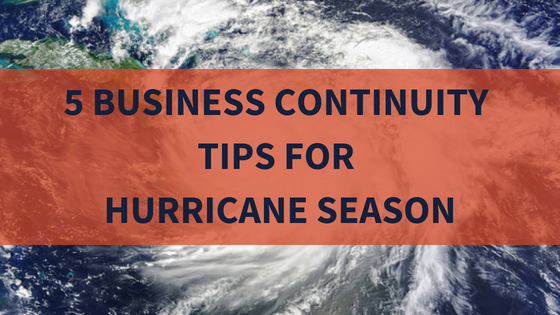 Keep reading to get our five best business continuity tips for hurricane season. If a hurricane affects your area, what are you biggest areas of risk? The first tip on our list is to assess your risks. Businesses in the same town can have very different hurricane risks. For example, a one-story office building in a low-lying area will most likely have to worry about floods. On the other hand, a business on the 40th floor of a skyscraper worries more about wind. Take time this hurricane season to assess your hurricane risks and the threat they pose to your operations. The second tip on our list is backup your data. Power outages are extremely common during and after hurricanes. A lot of times, flooding and debris make it harder for power companies to get electricity back to everyone quickly. 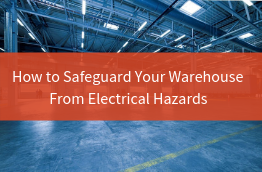 That means your business could go days – even weeks – without power. We recommend not only investing in a backup system, but testing it regularly to ensure you won’t lose critical information during a hurricane. It’s also a good idea to know how to access and recover your data. Test these things out before hurricane season hits up so you can be prepared. A hurricane may make it impossible for your employees to travel to the office, but the show must go on! Our next tip is to make sure all employees have emergency kits for both at the office and at home. 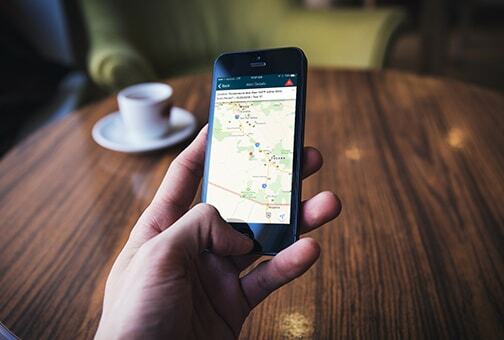 Office emergency kits should include food and water, batteries, radios, and first-aid kits. However, you will most likely have advanced warning when a hurricane approaches. In that case, your employees most likely won’t be at the office when disaster strikes, but they should be prepared to continue operations from home. Since it might be a long time before employees can return to work, they should have an at-home kit that includes things like letterhead, checks, cash, licensing and log in information for critical software, and access to any weather visualization or alerting tools you may have. 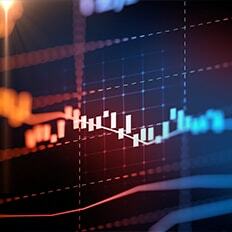 In the business continuity field, you’re prepared for when things don’t go according to plan. Heck, you’re even ready to deal with threats that throw plans out the window! You’re also a trusted figure for assessing, planning, and implementing actions that will protect a business. Meteorologists are a little like continuity professionals, but for the weather. Like business continuity plans, weather forecasts and hurricane tracks don’t always go to plan, either. That’s why it’s a good idea for businesses in all industries to have a dedicated meteorologist on call for advice during hurricanes. The last tip on our list is to establish a communication plan for before, during, and after a hurricane. You must consider communicating with your employees, partners, and customers so they understand your operating status and any critical safety messages. But there’s more. You should also communicate with your insurance agent and the vendors in your supply chain before hurricane season even approaches. It’s just one of those often-overlooked steps in the communication plan. However, it can make a world of difference. Before hurricane season starts, talk to your insurance agent so you know exactly what is covered and what is not before a natural disaster strikes. 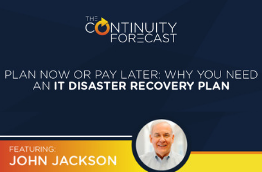 It’s also critical to speak with vendors because even if a hurricane spares your business, it may have created huge continuity problems at a vendor site. Ask vendors about their backup plans and how they plan to handle weather-related risks. 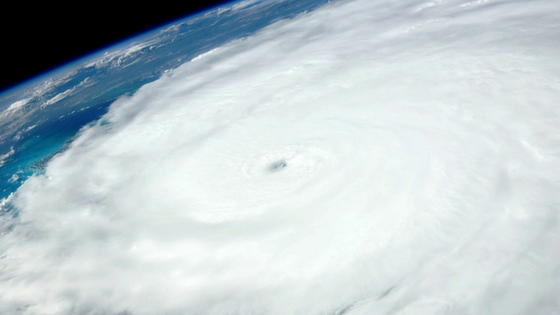 If you’re already prepared for hurricane season – great! Share this post on social media to help your peers get ready as well. And if you’d like to learn more about the 2018 hurricane season, please check out our outlook webinar.